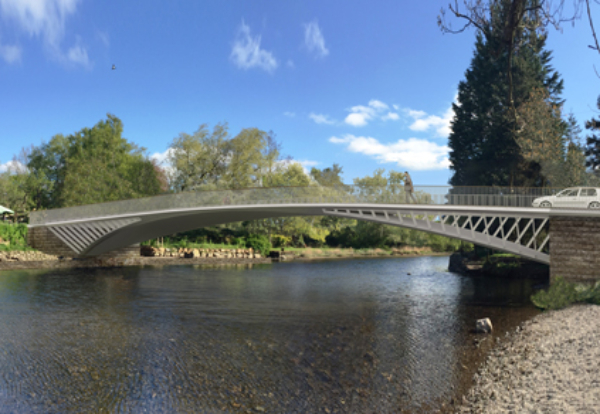 Eric Wright’s civil engineering business has landed the job to build a new Pooley Bridge in Cumbria after the original was washed away by flood water during Storm Desmond in December 2015. The final design is innovative and is the only single span bridge of this type in the country. Work on the £5m project is scheduled to start on site in May, with a target completion date around late Spring / early Summer 2020. Diane Bourne, managing director for Eric Wright Civil Engineering added: “We’ve been working closely with Cumbria County Council on the design for the new bridge for the last 12 months and we are delighted to also be appointed for the construction phase.